Truth by Kbaig: With The Burden of RAW and Incompetence, Afghan Army's Anger over Pakistan! With The Burden of RAW and Incompetence, Afghan Army's Anger over Pakistan! On 21 April 2017, approximately ten persons wearing Afghan Army uniforms riding three military vehicles crossed all the check posts and reached Corps Headquarters of 209 Corps in Northern Province of Balkh. Two out of these ten were wearing suicide jackets. They blew them up on the Central gate. Remaining entered into the complex firing bullets from their automatic weapons and divided themselves into two groups. One group entered into the mosque and killed Afghan soldiers present there; no one was able to react. The other group entered in the Mess hall and killed everyone present there. 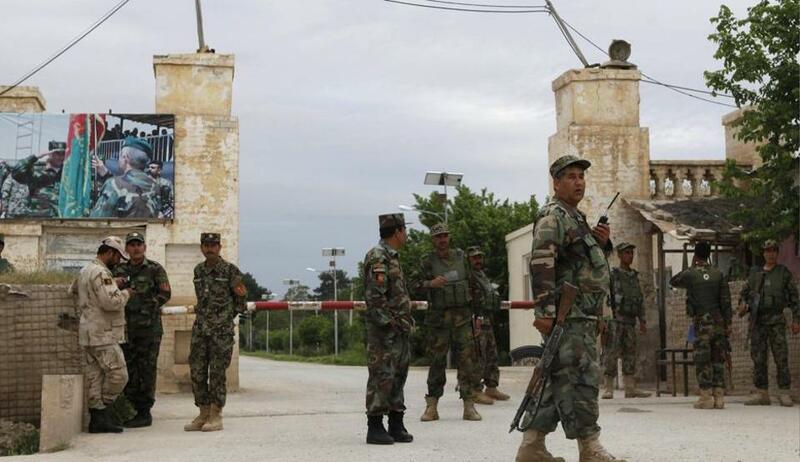 More than 50 Afghan soldiers were killed in the bomb blast at the Central gate. Although the Afghan soldiers on the security did their best but the battle continued till evening. All the terrorists were killed, however, according to some news one terrorist was arrested alive. According to the reports of Afghan govt. 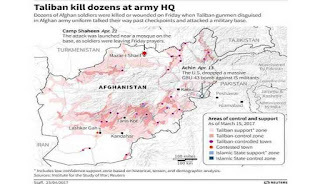 approximately 160 soldiers were killed. The end of the report contained a note that the number of deaths might be higher. American media reported the number of deaths up to 200. Afghan Taliban claimed to have killed more than 500 Afghan soldiers. 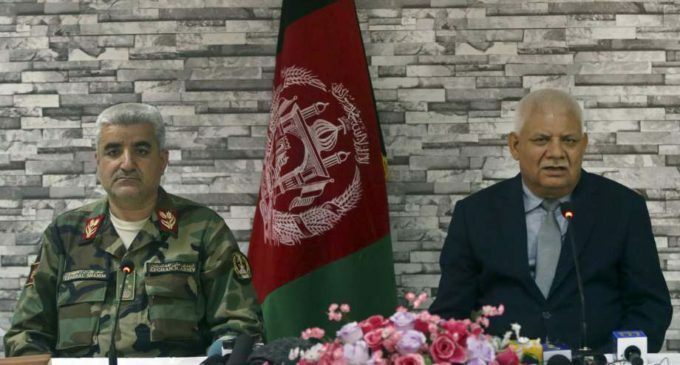 Afghan Army Chief, Defense Minister resign over Mazar-i-Sharif attack. On the 2nd day i.e. 22 April 2017, American media reported that Afghans have run short of coffins for the burial of killed soldiers in Mazar Shareef, the provincial capital of Balkh. 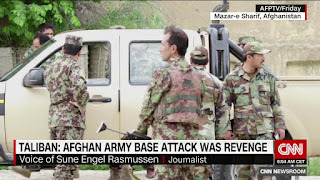 After two days, Voice of America told that the number of Afghan soldiers killed was 250 expressing concerns that internal situation has been at its worst in the entire Afghan army. It termed the attempt to hide the number of deaths as the failure of Afghan govt. Afghan TV was telecasting the details of 260 soldiers whose coffins have been sent to their local areas of ten provinces. 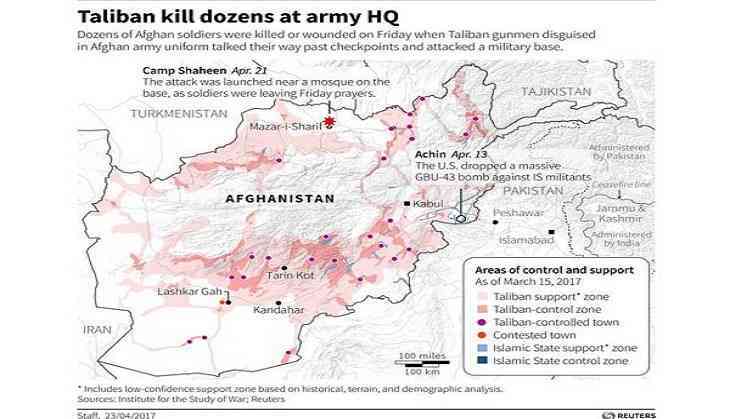 Afghan Taliban termed their attack as the biggest achievement of the history. While handing over the command of the Afghan army to Afghans, US Generals have accepted the responsibility for the military capabilities of Afghan army on whose training the US spent billions of dollars during the last two decades. They were armed with latest weapons and communication system. Now Americans are telling us that US trained soldiers are not capable of fighting. 40% army exists only in the papers whose salaries and other facilities budget goes into the pockets of Afghan Generals and Ministers. The weapons issued in the names of these ghost soldiers are sold to warlords and smugglers of illegal weapons. Some of these weapons are smuggled out of Afghanistan while rest falls into the hands of Afghan Taliban. Afghan youngsters become the part of the Afghan army to get the latest weapons and as soon as they are given weapons they flee with it. Afghan National Army (ANA) troops keep watch near the site of a Taliban attack on army headquarters in Mazar-e-Sharif, northern Afghanistan. The attack in the Central cantonment in Balkh province is the result of these weaknesses of the Afghan army. 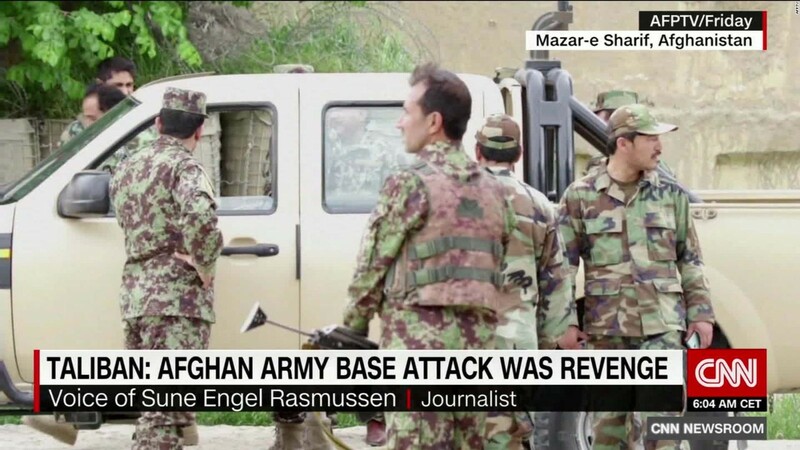 After this attack, Afghan army’s chief and Minister of Defense were forced to resign. Including Corps Commander of 209 Corps, many other Afghan General were removed. Now Americans are investigating that how did Taliban succeed in crossing all the security check posts. Who led them towards the mosque and mess hall after crossing central gate as these two buildings are located at the end of the cantonment. In order to access, these building one should have knowledge of the ways. Investigators claim that Taliban attackers were supported by more than one person inside the cantonment. 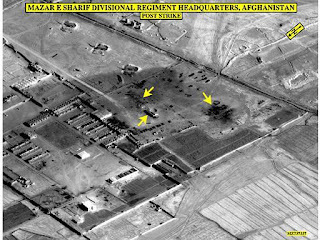 Analysts are also thinking about it that why did not Taliban attack US and NATO soldiers present in the cantonment present there for training while their offices and residential complex were near the main gate. US Defense Secretary Jim Mates has declared upcoming months difficult for the US and NATO soldiers present in the Afghanistan as well as for Afghan army. 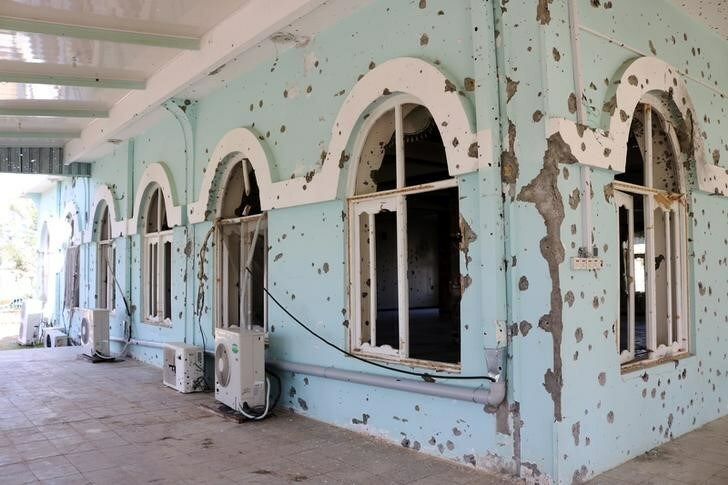 Bullet holes are seen on the wall of a mosque at the military headquarters where the Taliban attack in Mazar-i-Sharif, northern Afghanistan. In such a situation why Afghan govt. is angry over Pakistan? No doubt the attack over Afghan govt. was devastating which has been condemned by Pakistan as well. After this attack, neither both Washington and Pentagon have expressed concerns regarding Pakistan nor have defense analysts of Western Media alleged Pakistan as they use to do. This is a reality that Pakistan has destroyed the secret militant hideouts without any differentiation. Due to which American and Western commanders have visited these secret hideouts themselves and praised the achievements of Pakistan army. Why Afghan army started unprovoked firing and bombardment on Chaman border which claimed lives of 18 people injuring approximately 50. This attack was on the teams conducting the census. The martyred and injured included women and children as well. Moreover, over the KPK border, Afghan army also started unprovoked shelling which targeted check posts of Pakistan army. Here we are not concerned that how Pakistan army reacted. 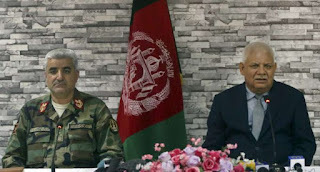 Astonishingly, that Afghan army is attacking Pakistan army whose Defense Minister and COAS along with dozen Generals have been removed from their designation due to unprofessionalism, incompetence, lack of war capabilities and corruption. How they thought of attacking Pakistan army facing war for last 15 years equipped with nuclear and other lethal weapons? Afghan army who lost an important District Sangin in Helmand province on 23 March 2017 in the hands of Taliban which was termed as a big shock for the USA in Kabul. In order to be in control of this district, US and NATO have sacrificed lives. Now the USA has to take back the control in Helmand province from Afghan army on 29th April 2017. The answer to these questions is that Afghan army is not capable of any misadventure against Pakistan. Behind such misadventures are Afghan NDS. NDS is controlled by Indian RAW. India wants to engage Pakistan army on the Western border as well like she has engaged Pakistan army on Eastern borders. Now whether India wants to do so in order to divert the attention of International community from atrocities committed by Indian army against Kashmiris in Indian Held Kashmir or the role of Pak army in the internal situation of Pakistan?? ?